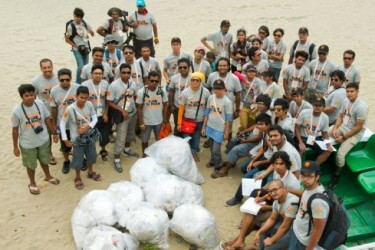 Volunteers with collected debris at Cox's Bazar Beach on the International Coastal Cleanup Day. Image by Ismail ferdous. More than 300 Volunteers took part in this year's International Coastal Cleanup event in Bangladesh – reports Fahim Alam Khan  at Kewkradong Bangladesh blog.